Download Free jQuery Pie Chart, Bar Chart, Donut Chart, Line Chart and other data visualization tools & plugins at our jQuery Chart & Graph Section. Page 1 . 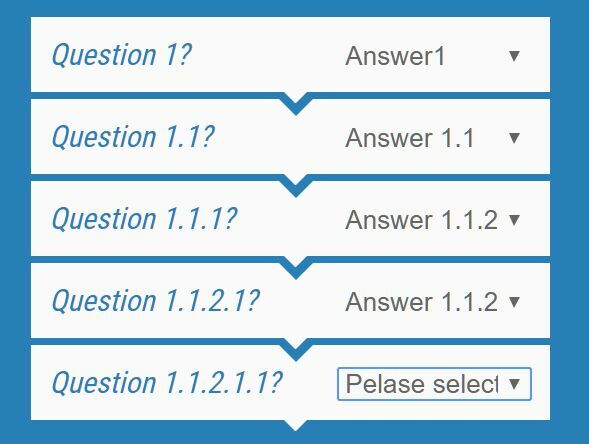 A small, configurable, SEO-friendly jQuery decision tree plugin that transforms nested HTML lists into an interactive decision tree with select elements. 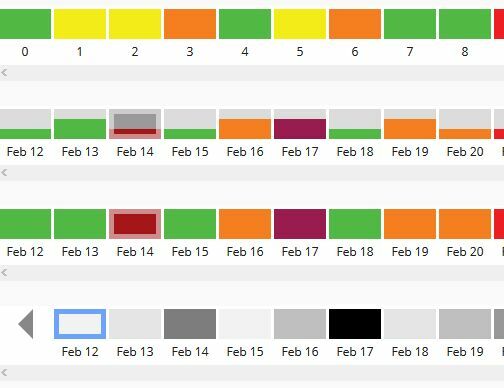 Calmosaic (Calendar Mosaic) is a jQuery plugin that dynamically renders a customizable calendar heatmap for representing time series data. Inspired by Github's contribution chart. 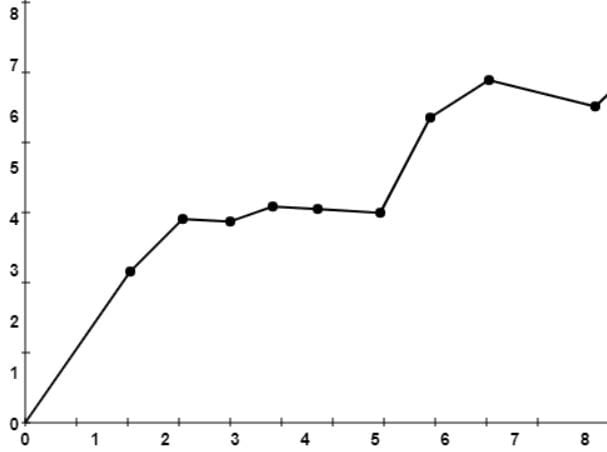 An animated, interactive, dynamic, configurable, fully responsive bar/column chart plugin built using jQuery and D3.js. polyline.js is a jQuery plugin/jQuery UI widget that lets you draw polylines with dots on an HTML canvas to represent routes, paths, data series, etc. GaugeMeter.js is a versatile jQuery gauge plugin which takes advantage of HTML5 canvas to render animated gauge meters and dials with plenty of customization options. 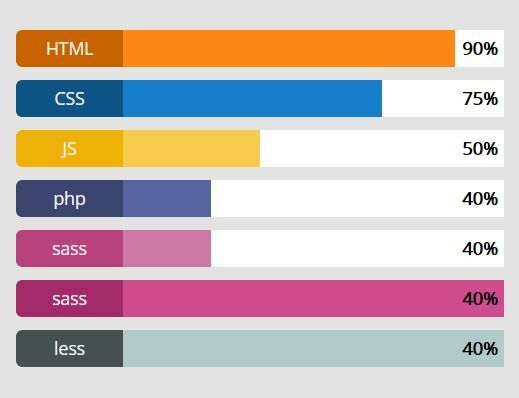 LineProgressbar is a super tiny jQuery plugin that helps you create horizontal, animated, line chart-style progress bars with or without percentage values. 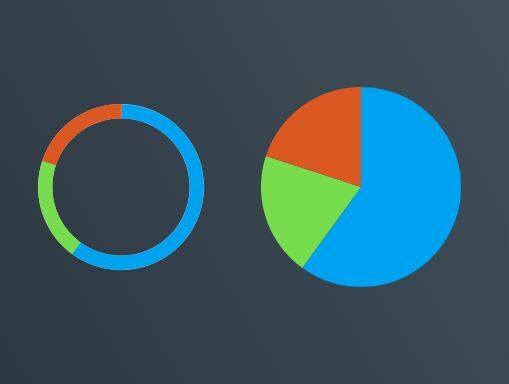 jChart is an easy-to-use jQuery plugin for rendering SVG based, vector shaped pie & donut charts that display each value as a part of a pie or donut. Gantt Chart is a Simple jQuery Chart Plugin that implements gantt functionality as a jQuery component. 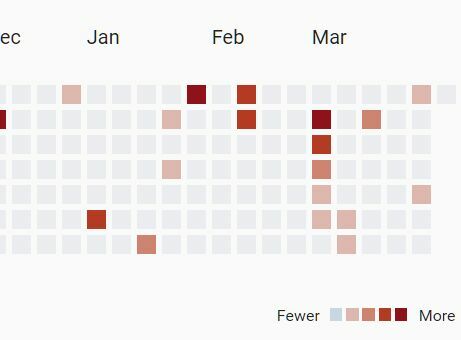 CalendarHeatmap.js is a jQuery plugin used to generate a dynamic, interactive, configurable calendar heatmap for representing time series data. FusionCharts is a jQuery plugin for adding interactive charts and maps to your website. 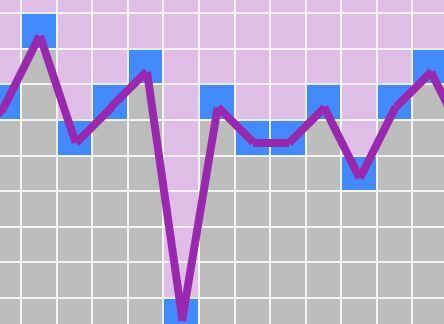 A lightweight and easy-to-use jQuery plugin to dynamically render a line chart with marks, gridlines and interlaced colors. 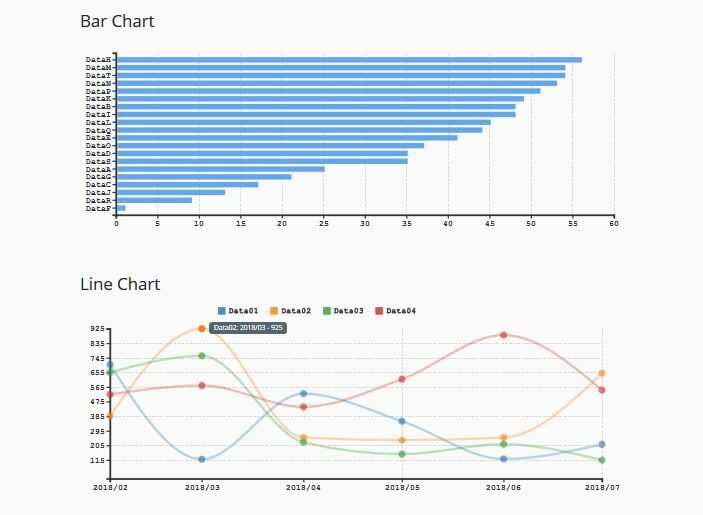 Circliful is a jQuery chart plugin that animates the presentation of your information with good looking circular design, a little similar to the ring chart. 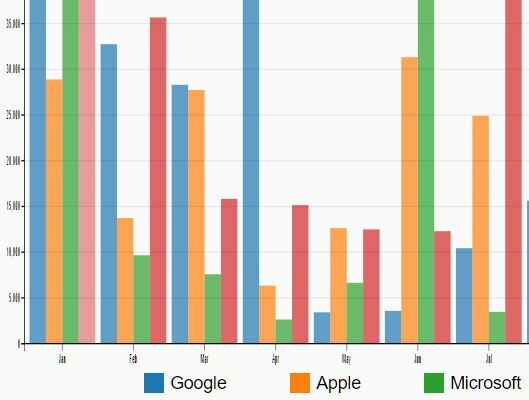 D3-Instant-Charts is a jQuery chart plugin which helps you dynamically generate customizable, SVG-based bar and line charts from JSON data using the latest d3.js library. 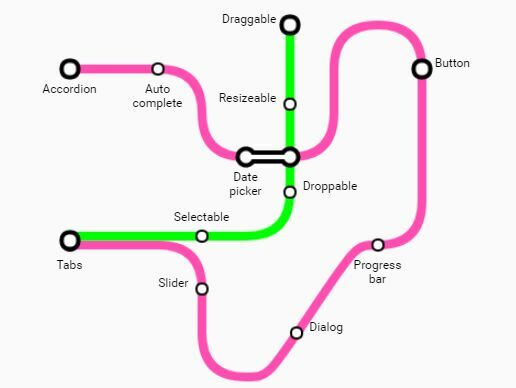 subwayMap is a jQuery plugin that uses HTML5 canvas to draw a dynamic, customizable, metro map-style graphs and infographics on the web page. simpleGauge.js is a small jQuery plugin which lets you create minimal, clean, smooth gauge meters to represent percentage values on the webpage. The Flat Block Chart Plugin dynamically generates a horizontal timeline-style heat map where the individual values contained in a 3D or 2D matrix are represented as flat clickable blocks. The an-skill-bar jQuery plugin lets you create animated skill/experience bars which can be used for online resumes. 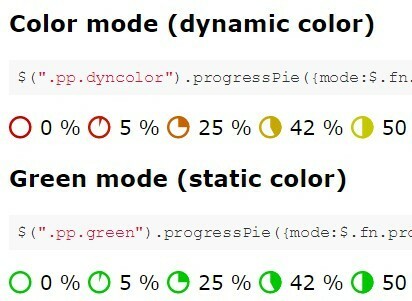 progresspieSVG is a simple yet robust jQuery plugin which renders pie or ring chart style progress bars or countdown timers using SVG element. A simple, lightweight flow chart plugin which uses Bootstrap grid system to create a minimal, responsive workflow with SVG based connection lines and arrows on the web page.